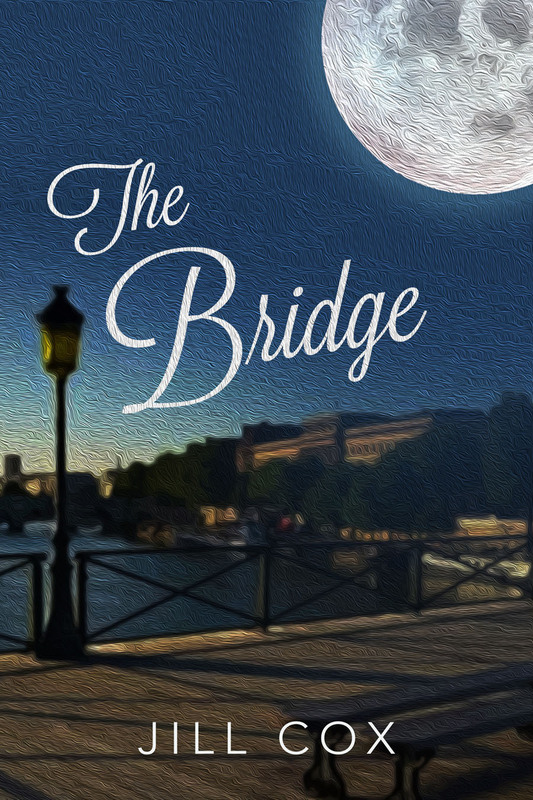 This is an actual picture of the real bridge in Paris that the book is built around. I used Photoshop to create the almost Van Gogh oil paint effect. 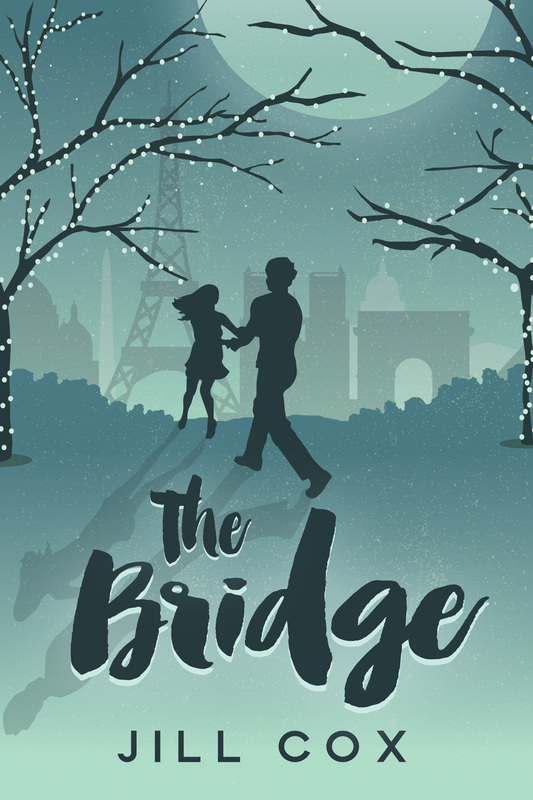 This famous bridge, the Pont des Arts in Paris, used to be the one where you could place a lock on the chain link fence and then toss the key into the river. However, now that the chain link is gone, people throw the locks in the river and then place the keys on a chain and wear them around their necks. The above book cover has a number of elements from the book, but at the end of the day looked more like a Robert Ludlum novel than a young adult teen novel. Significant imagery in the book is this large and very bright moon that the couple dances under. 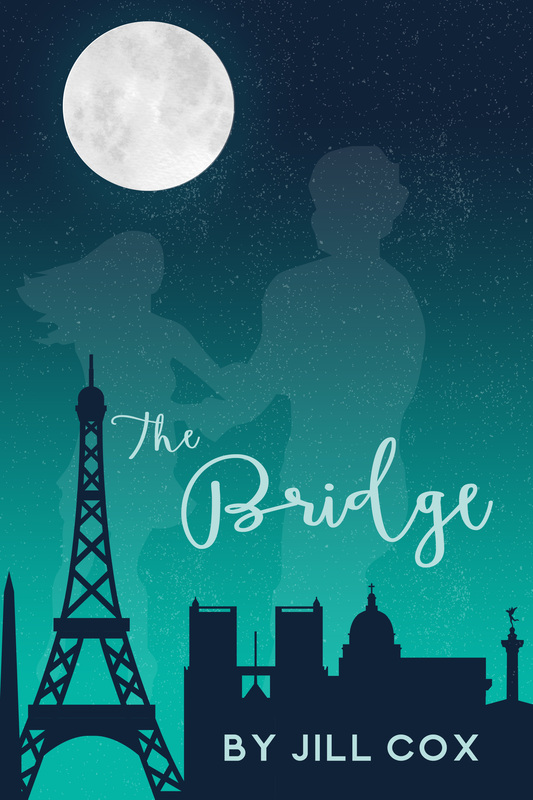 The silhouette of the couple dancing was something that the author wanted, I just made it almost feel as if the couple were having an out-of-body experience – because isn’t that what love feels like? At least at the beginning anyway? 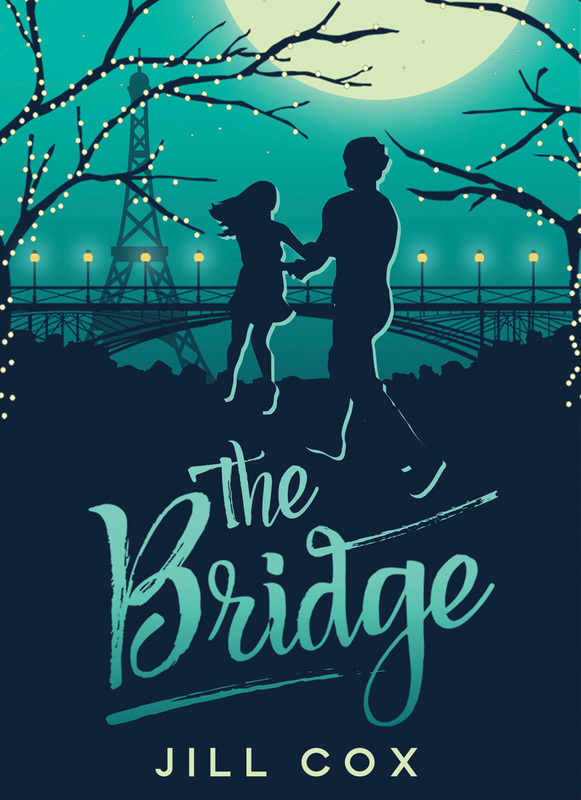 This is the final cover of The Bridge. As the process unfolds you can see how items from one cover were merged with this final cover to make the perfect book cover. 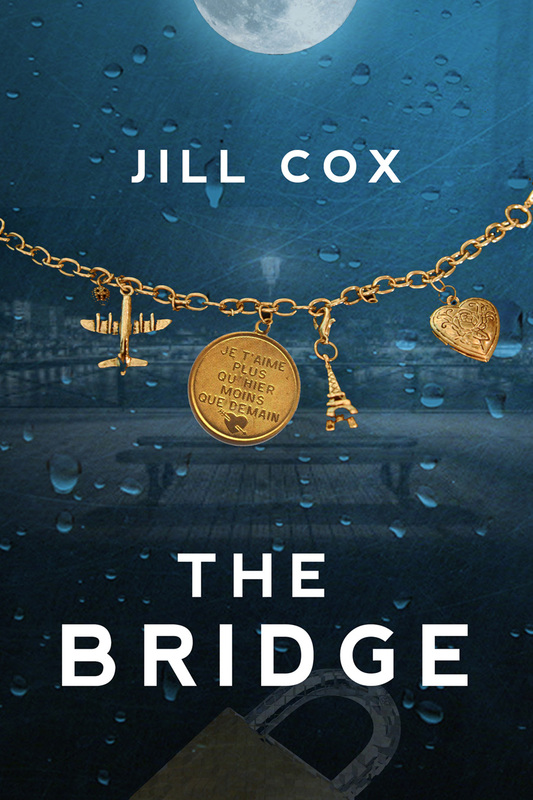 Jill Cox also wanted a website built to showcase and market all of her books. She requested a very minimal and clean design and so that is what I created for her. Check it out at www.jillcoxbooks.com.